Want to know how long it will take to binge watch an entire series? 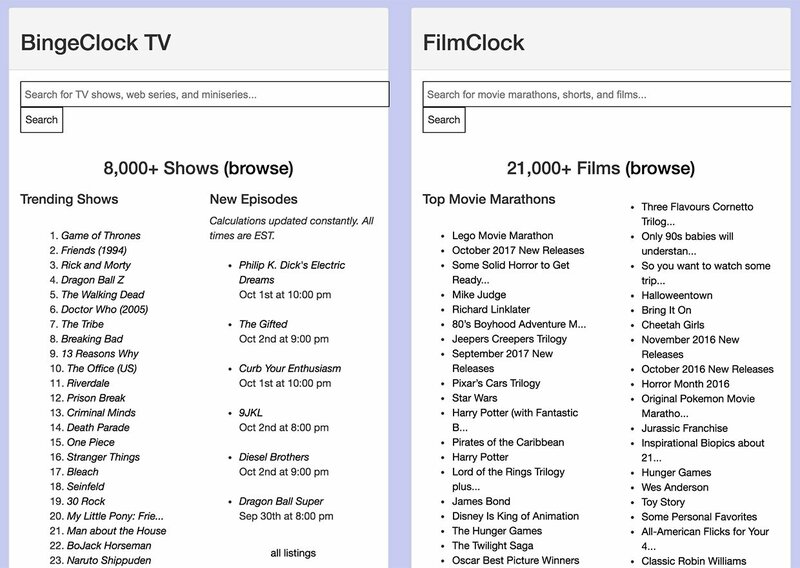 BingeClock has data for over 8,000 TV shows to help figure out how much time you need. They also offer a similar capability for planning movie marathons. It ain’t the prettiest website, but it’s really useful.